countertops, vanities, custom bars, home furnishings, and gift items. 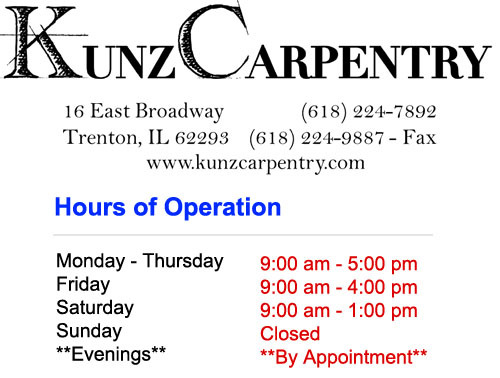 Note: Kunz Carpentry Warehouse (lumber, tools, etc.) has different hours. Click here to see the Warehouse hours.